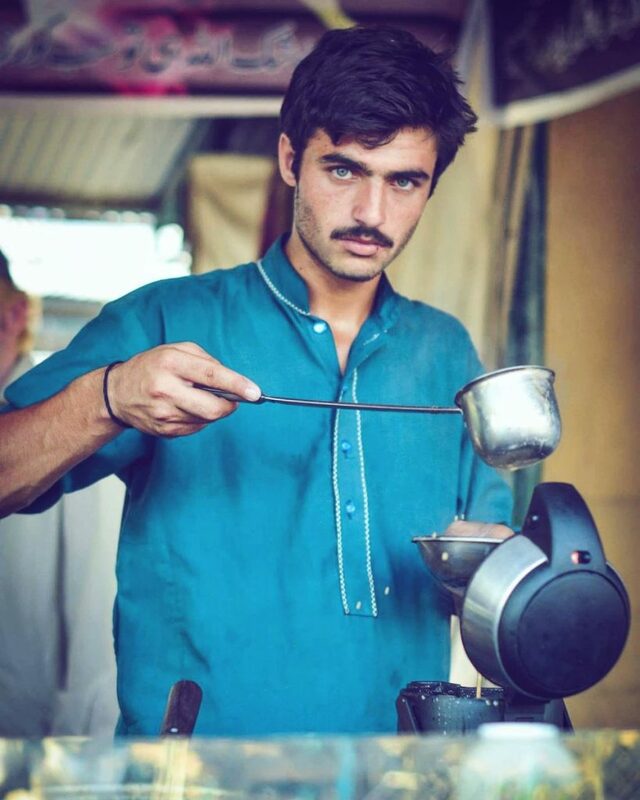 This photo of Arshad Khan as known as ‘ChaiWala’ took the internet by storm. A girl, Jiah Ali first posted his picture on instagram and he got the fame overnight. 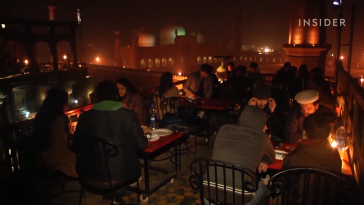 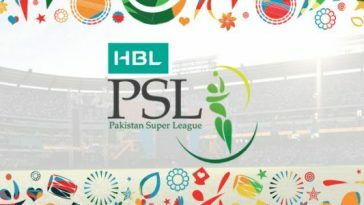 Arshad Khan is from Mardan, Khyber Pakhtunkhwa and here is what people and celebrities have to say about him. 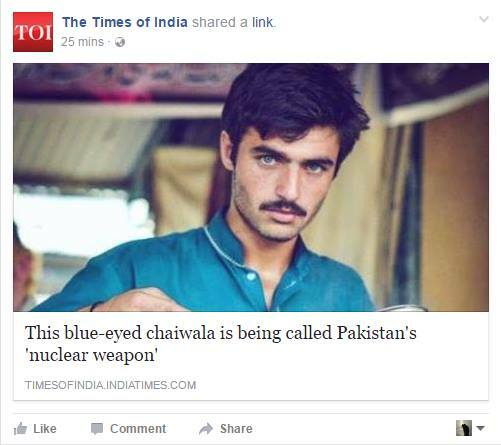 People are tweeting that ChaiWala will give all leading Bollywood Khans a run for their money. 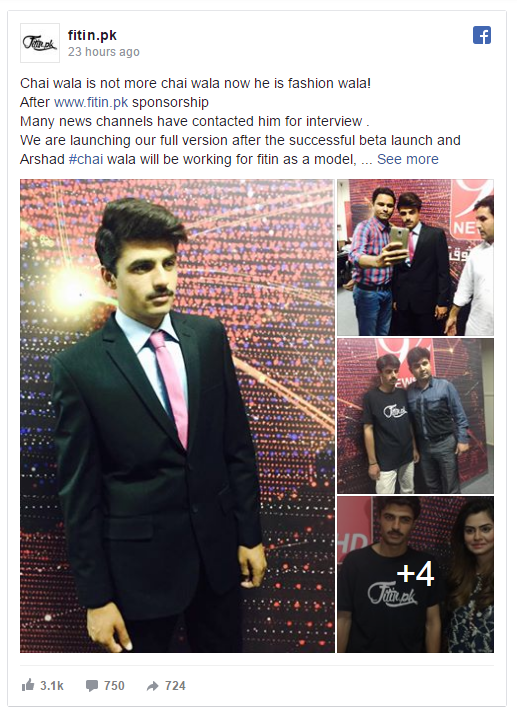 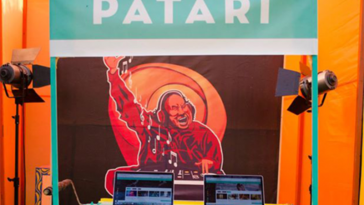 Fitin.pk, an Islamabad based online store tried to cash the opportunity and announced this on their facebook page.